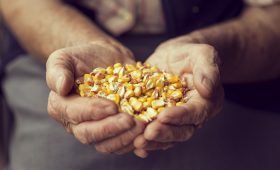 When an individual “passes” the executor is the one who steps in to make sure that the deceased’s creditors get paid, the estate’s tax obligations are fulfilled, and the assets of the estate get distributed in accordance with the Will. An executor is court appointed, and as such is an officer of the Court. The executor’s primary duty is to administer the estate in accordance with the law, and the Will of the Deceased. In fact, the executor is required to sign and file an Oath that they will faithfully discharge the duties imposed by law, according to the best of their ability. The executor is responsible for publishing Notice of the opening of the Estate, the time for Creditors to file Claims, the Rights of a Surviving Spouse, and providing heirs notice of the time in which any action to set aside a Will must be filed. The executor is responsible for preparing and filing an Inventory of ALL of the assets of the Deceased within 9 months of the opening of the Estate. NOTE: the Inventory must include an estimate of the value of the assets listed. If the executor is unable to make a reasonable estimate of the value, appraisers should be employed. The executor is allowed to sell, mortgage, or lease property of the estate, if it is in the best interest of the beneficiaries and/or the creditors of the estate to do so. 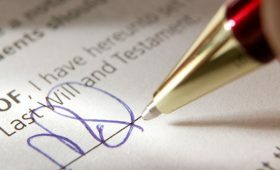 If these powers are granted in a Will, the executor need not obtain Court approval, but if there is no Will, or if these powers are not included in the Will, the Court must approve the terms of transaction as well as the reasons for the sale. Beneficiaries have the right to object to the transaction. The executor is responsible for paying the debts of the estate, which include any taxes (final income taxes of the Deceased, Federal Estate taxes, Inheritance Taxes, and Income taxes of the ESTATE). HOWEVER, these liabilities are limited to the amount of the estate itself- the executor is not personally liable for the debts of the estate unless the estate is insolvent and they have paid the debts without court approval. The executor makes a Final Report to the Court which include: an accounting of all property included in the estate, and their disbursement; a statement that all taxes have been filed and paid; and a statement that all debts and charges have been paid. The executor is responsible for distributing the assets remaining after payment of all debts and taxes to the beneficiaries, in accordance with the Will. This distribution may take place in whole or in part prior to the Final Report, but if the executor makes a miscalculated distribution without prior Court approval, the executor is personally liable for the error (although they would have a right to recover the erroneous distribution). Upon satisfactory proof that the estate has paid taxes, creditors, costs of administration (including fees of the executor, the Attorney for the Estate, and charges by the Court itself), AND properly distributed the remaining assets to the beneficiaries, the executor is “discharged” and relieved of any further obligation. WHAT ARE LIABILITIES OF AN EXECUTOR? Constitute a negligent or willful act or nonfeasance in the fiduciary’s administration of the estate by which loss to the estate arises. WHO IS ALLOWED TO BE AN EXECUTOR? “Natural persons”, including BOTH residents and non-residents may serve as executor. Banks (provided they have a trust department) and Trust Companies who are properly authorized to do so, may act as executor. Such other person (or qualified bank) as the court may find to be qualified. The single most important characteristic for an executor is their willingness to carry out your wishes as expressed in your Will. Commonly, our clients want their Spouse to serve as the primary executor, and if their Spouse is unable, or unwilling, to serve as executor, they pick another family member or a close friend. If neither of the first two is able, or willing to serve, they pick a third individual. Picking the non-spousal executor can be agonizing, especially in “blended” families, and families where there are multiple children. Although there is court supervision of the actions of the executor, there can be disagreements among family members as to the propriety of the executor’s actions and/or elections for tax purposes. 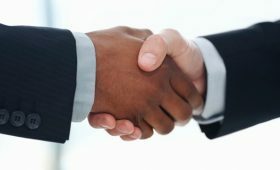 Again, competent legal counsel, who fosters communication with the beneficiaries, and can explain actions taken by the executor, can make the process MUCH smoother. Although it is permissible to name co-executors, this creates a practical and logistical nightmare; all fiduciaries must sign all pleadings with the court, as well as all documents executed on behalf of the estate (we commonly designate only one fiduciary to sign tax returns). Further, unless court approval is obtained, all executors (not just a majority) must consent to any action taken by the estate. ARE FEES PAID TO EXECUTORS? Serving as executor can be a BIG job. Accordingly, it may be appropriate for the executor to be compensated for their services. The MAXIMUM amount any executor may charge for “ordinary” services is 2% of the gross assets of the estate plus $120. 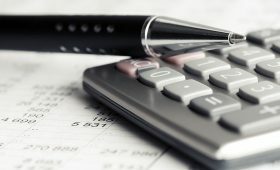 If the executor provides what the court determines to be “extraordinary” services (examples: real estate matters, tax matters and litigation), the court decides the amount of the “extraordinary fee”. ALL banks charge a fee to serve as executor. Conversely, it is common practice for an individual who serves as executor (particularly family members) to “waive” the executor fee. While serving as an executor can appear to be a daunting task, it is common practice for the executor to appoint an attorney who assists them in fulfilling their duties. Although “final” decisions are left to the executor, when our firm represents an estate, we seek to provide as much assistance as the executor requests, including preparation of any and all notices and court filings based on information provided to us by the executor. 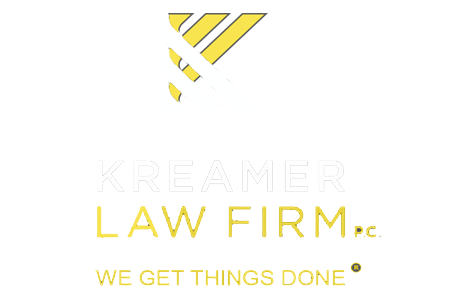 If you need assistance on choosing an executor, or have any other estate planning needs, please contact us at 515-272-0900 or via our website at www.kreamerlaw.com. Iowa Code §386 et. seq. Although there is no specific statutory reference, because it is a report to the court, presumably the executor could be liable for perjury and/or contempt of court if they knowingly file a false final report.